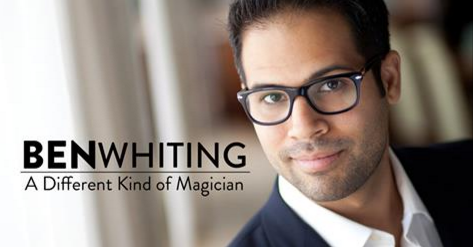 On Wednesday July 13, Ben Whiting, A Different Kind of Magician, brought his remarkable magic to HERTH Hall. He truly enchanted his audience with excellent sleight-of-hand, mind reading tricks and confounding prestidigitation. He is a gifted magician, consummate entertainer and a dear friend of HERTHA. ​ ​More info about Ben is on his Web site. ​Special thanks go out to HERTHA Event Planner Carolyn Hoover (as well as Nicole, Mark, Betty, Tom and Linda Pillsbury) for making this event happen.